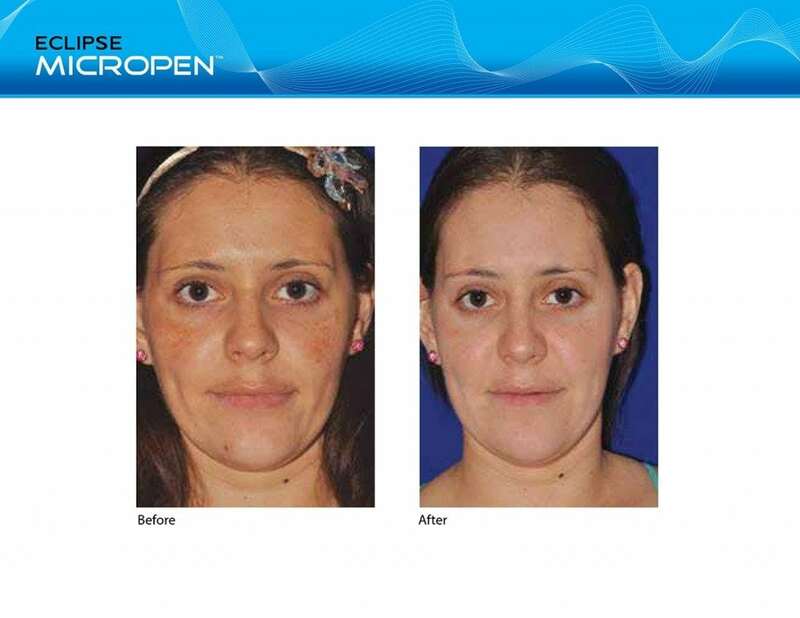 Skin rejuvenation is now easier for Southington residents! Experience the wonders of Microneedling, also known at collagen induction therapy (CIT) or percutaneous collagen induction (PCI). This is a minimally invasive procedure that triggers your body to produce new collagen and elastin. Through this process, your skin will have improved texture and tone, along with a reduction in scars, pore size and stretch marks. 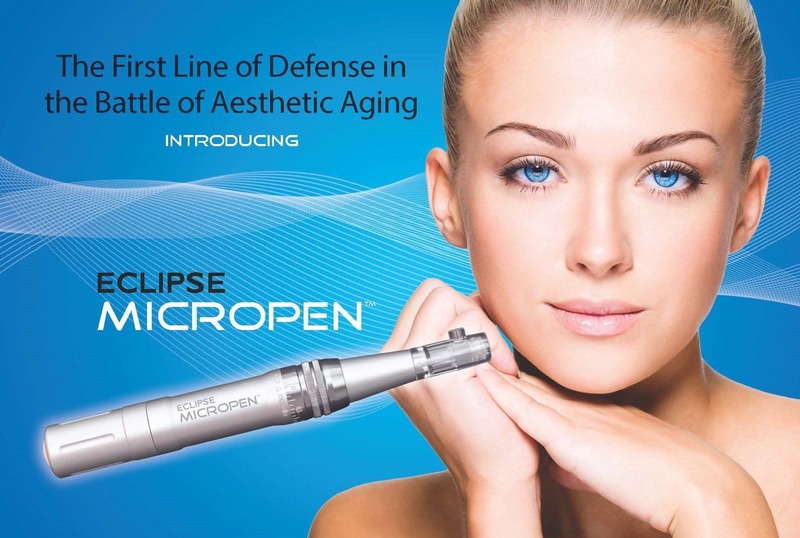 Microneedling, as the name implies, utilizes micro needles to rejuvenate areas of the skin. The micro needles are on the tip of an electric pen (Eclipse Micropen) that glides across the skin. The needles create tiny punctures in the dermis to create a controlled skin injury, which causes it to react by healing itself. Once this healing process starts, it gives the skin a chance to repair scarring, create collagen (which treats wrinkles and fine lines), thus providing you with smoother looking skin. Microneedling can be used on different areas of the body. Common Microneedling treatment areas include the face, neck, decollete and arms. The area is prepped with a topical numbing agent to decrease any discomfort. Because the needles move so quickly, patients don’t typically feel like they are being punctured by needles. It feels more like a hairbrush or sandpaper gliding across your skin. The level of discomfort or pain is minimal, although for scars you may need a deeper treatment which could produce more sensation. Following your Microneedling treatment, your skin may be red (like a sunburn) for one to three days. It could also be a bit sensitive so it’s best to avoid anything harsh or acidic on the surface of the treatment area. You’ll be more specifically advised during your consultation—given detailed instruction on what to do to prepare for your treatment, as well as what’s to follow. Lasers, while can be very effective, simply aren’t always the best option for everyone. For one, lasers cannot be used on all skin types. With Microneedling, it is safe for all skin types and there are minimal risks associated with this treatment. Not only is it a chemical-free treatment, but it doesn’t require any heating or cooling of the skin, which may damage surrounding tissue. It simply allows your skin to repair itself in the safest way possible. Laser treatments also cause more discomfort and downtime. As previously stated, this treatment doesn’t require heating or cooling the tissue to work, which means minimal downtime! Microneedling can be a midday experience with a fast recovery time. All treatments are performed by our medical director so you can feel confident you will receive a gentle, effective treatment, in the most comfortable environment. If you are near Southington, CT, why not give us a call today to schedule a consultation? During a consultation, all of your concerns regarding this procedure (or any other procedures we offer) can be addressed, and a unique treatment plan can be put together just for you!